Miss Selfridge AW12 Pressday was full of embellishment. The shoes were insane... mostly covered in spikes with a 90's feel. The dresses and blouses were adorned in sequins. 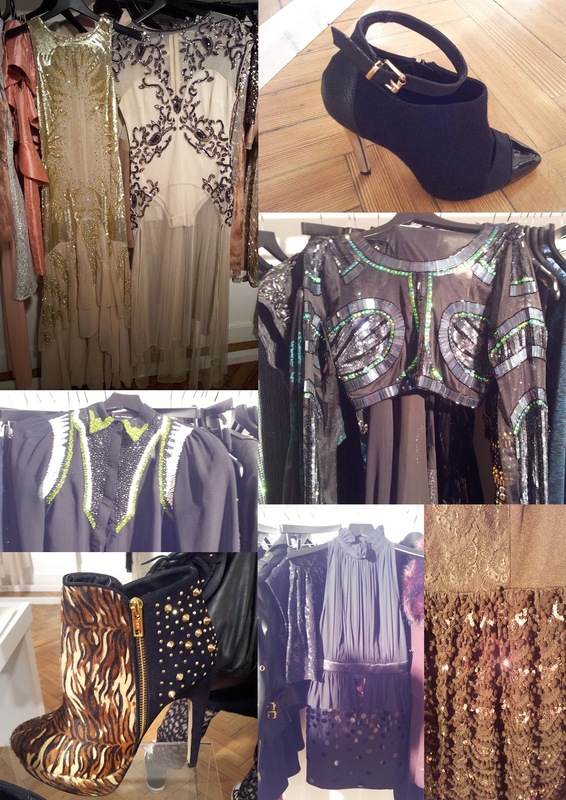 My favourite was the cropped top and the luscious gold sequin dress (top left)....perfect for a wedding.